Delivery: Shipping is free via USPS Priority or First Class within the US. Express, Fedex and International cost extra. Return policy: You can return your purchase for any reason. Call us at 770-424-0403. Your purchase is fully warranteed with free repair/replacement for up to one year. 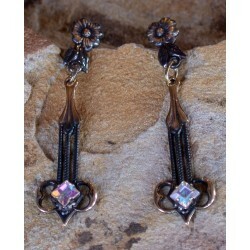 Delicate Floral motif Dangle Earrings with a 4mm x 4mm Aureora Swarovski Crystals. 14 karat Gold Filled Post. 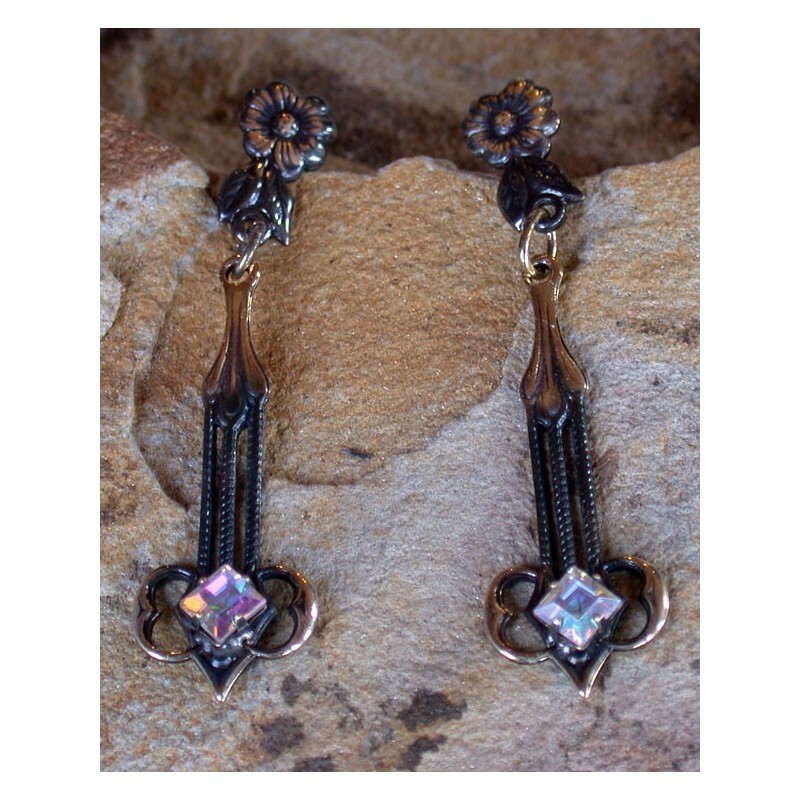 Earring Measure: 1/2" x 1 7/8"